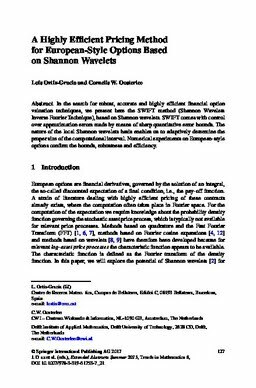 In the search for robust, accurate and highly efficient financial option valuation techniques, we present here the SWIFT method (Shannon Wavelets Inverse Fourier Technique), based on Shannon wavelets. SWIFT comes with control over approximation errors made by means of sharp quantitative error bounds. The nature of the local Shannon wavelets basis enables us to adaptively determine the proper size of the computational interval. Numerical experiments on European-style options confirm the bounds, robustness and efficiency.